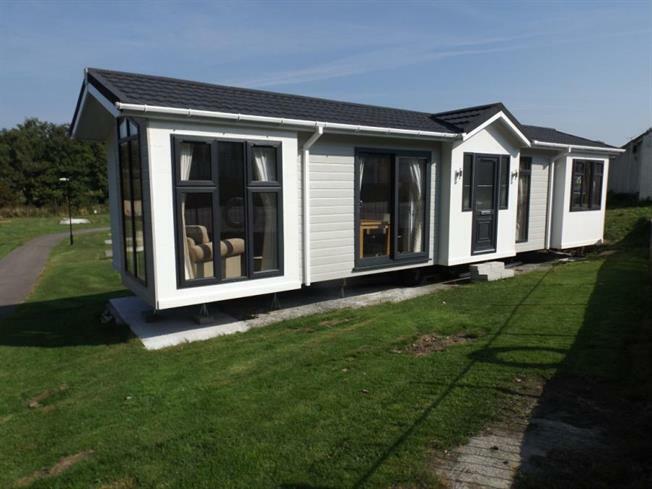 2 Bedroom Detached Mobile Home For Sale in Newquay for £75,000. This 36' x 12' new two bedroom Wentworth park home with lounge/dining room, fitted kitchen, bathroom, and reception hall. LP gas central heating, UPVC double glazing and fitted furniture. Outside there is level parking and garden. Situated in Porth Valley within a mile of the beach and within two miles of Newquay town centre.